Anyone who knows me will know how bad I am at styling my hair especially when it comes to curling so I figured that a rotating curler would be the perfect tool for me - Problem solved. 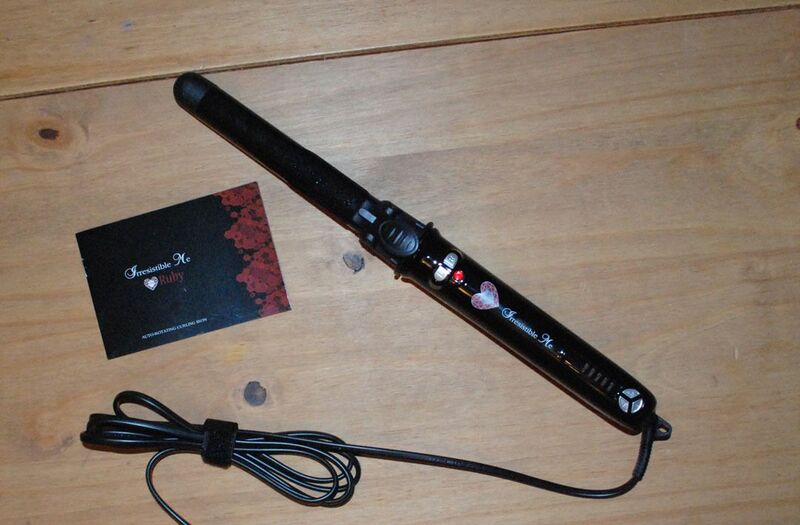 The Irresistible Me rotating curling iron makes curling easier because there's no fiddly part of wrapping the hair sections around the wand. You simply pop the end of your hair section under the clip and rotate left or right depending on how you want the curl (and the direction you've clipped the hair in). I soon learnt that it was important to clip your hair in the right direction for the curl otherwise you end up with a dodgy looking kink at the bottom of the curl. Practice certainly makes perfect though and I'm getting better!